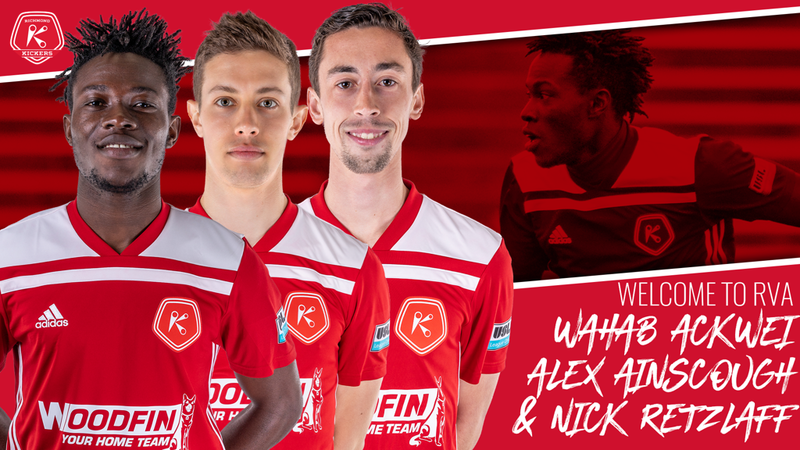 RICHMOND, Va. – (Thursday, March 21, 2019) – The Richmond Kickers are pleased to announce the signings of defender Wahab Ackwei, midfielders Alex Ainscough and Nick Retzlaff for the 2019 season, pending USSF and USL League One approval. Signing his first professional contract with the Kickers, Retzlaff is coming off a four year career at NC State, making 30 appearances for the Wolfpack. Prior to his freshman season, Retzlaff played with the Carolina Dynamo in USL League Two. He moved on to join the North Carolina FC U-23s in USL League Two for the remainder of his collegiate career.